Visiting Murhut Falls and Hiram M. Chittenden Locks will get you outdoors. 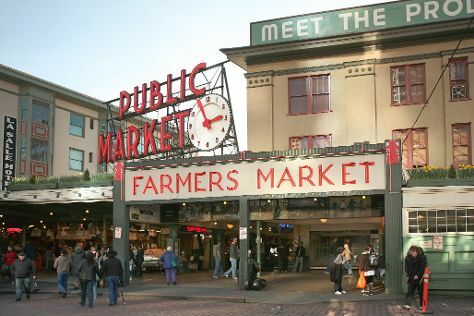 Do some cultural sightseeing at Pike Place Market and Bellevue Square. And it doesn't end there: shop like a local with Chihuly Garden and Glass, view the masterpieces at Glasshouse Studio, engage your brain at Living Computers: Museum + Labs, and enjoy the sand and surf at Alki Beach. For more things to do, photos, ratings, and more tourist information, use the Seattle online road trip planner . Use the Route module to find suitable travel options from your home destination to Seattle. November in Seattle sees daily highs of 53°F and lows of 42°F at night. Finish your sightseeing early on the 5th (Tue) so you can take a train to Mount Rainier National Park. On the 6th (Wed), tour the pleasant surroundings at Skyline Trail, take in the dramatic scenery at Narada Falls, and then take an in-depth tour of Longmire Museum. Keep things going the next day: take in the awesome beauty at Mount Rainier and then delve into the lush surroundings at Grove of the Patriarchs. 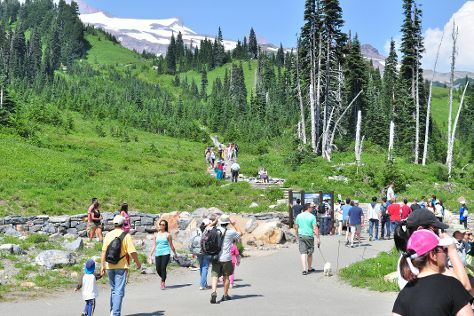 To see other places to visit, more things to do, where to stay, and other tourist information, read our Mount Rainier National Park road trip site . 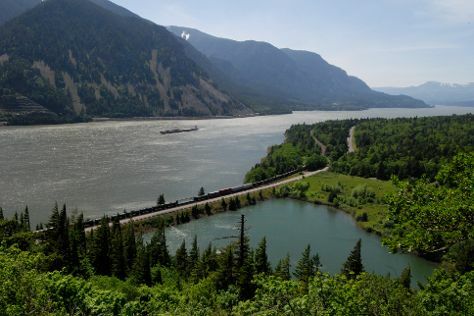 Traveling by train from Seattle to Mount Rainier National Park takes 2 hours. Alternatively, you can take a shuttle; or take a bus. Traveling from Seattle in November, you can expect nighttime temperatures to be a bit cooler in Mount Rainier National Park, with lows of 37°F. Wrap up your sightseeing on the 7th (Thu) early enough to take a train to Portland. On the 8th (Fri), admire the sheer force of Multnomah Falls and then identify plant and animal life at Columbia River Gorge National Scenic Area. Here are some ideas for day two: hit the slopes at Timberline Lodge and Ski Area, sample the tasty concoctions at Clear Creek Distillery, and then take in nature's colorful creations at Portland Japanese Garden. To find where to stay, other places to visit, photos, and other tourist information, go to the Portland holiday planner . Traveling by train from Mount Rainier National Park to Portland takes 4 hours. Alternatively, you can do a combination of bus and train; or take a bus. In November, plan for daily highs up to 53°F, and evening lows to 42°F. Wrap up your sightseeing by early afternoon on the 10th (Sun) to allow enough time to travel back home.